Defender of the outcast, acclaimed teacher and spiritual director, insightful psychologist, and founding member of a thriving religious community, Father Benedict J. Groeschel was not merely a man of uncommon talents but one of extraordinary achievements. Yet at heart he was a simple friar, a humble priest; and his goal in life was very modest: to follow as best he could the path God had chosen for him. For over eighty years-more than fifty of them as a priest-Father Groeschel faithfully walked that path; and, in so doing, he gave hope to abandoned youth, to pregnant women who were homeless and alone, to many of those people whom society so easily and thoughtlessly discards. An electrifying speaker and a writer of real talent, he was responsible for rekindling the love for God in the hearts of many whose faith had turned to ashes. And his legendary devotion to the poor led him to help found the Franciscan Friars of the Renewal, with the mission to serve those who had little or nothing. 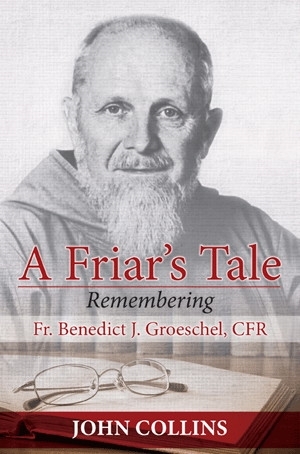 A Friar's Taleis an inspiring, moving, and sometimes humorous biography that invites readers to immerse themselves in the fascinating details of a remarkable life, one animated by faith and devoted to love.